In today’s world, man strives for further advancement in science and technology. This advancement can only be achieved through teaching our youths the basic and advanced levels of science. As a science teacher, it shall be your responsibility to enlighten students on the “what’s”, “why’s” and “how’s” of the world around them. At St Theresa, our Bachelors of Education in Science (International Program) aims to give you the skills needed for inspiring students to pursue scientific curiosities and make well-informed decisions throughout their studies. Our Bachelor of Education in Science (International Program) aims to prepare students for leadership roles as science teachers of primary and secondary schools in Thailand or abroad. Students will be equipped with knowledge for teaching the basic levels of science that encompasses biology, physics, geology, geography, and chemistry. 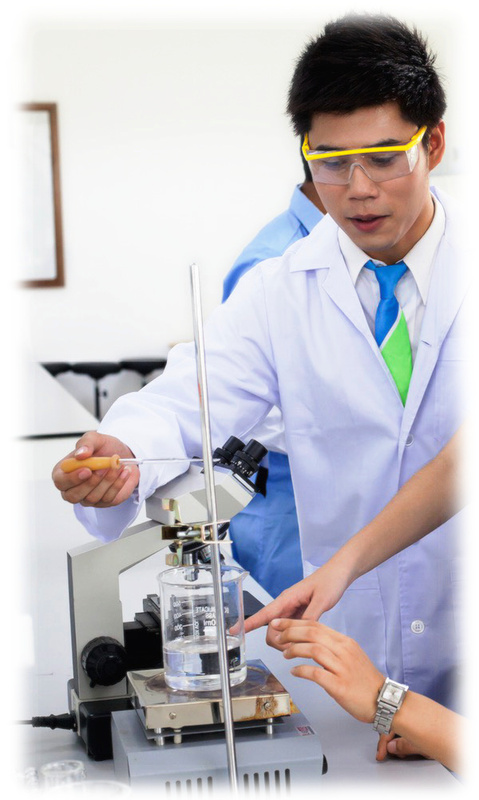 Together with modern laboratory and teaching facilities, the program will help our students grow academically, intellectually and professionally as science teachers. Prepare teachers for an active career in all facets of professional education. Develop the intellectual, professional and social characteristics of teachers to enable them to become responsible leaders within the school and the community. Enhance the capabilities of teachers so that they are able to teach effectively at schools. Provide a basis for science education training to enable teachers to pursue further advanced training in both professional and academic areas. Notable core courses that students are required to study includes: Statistics, Physical Science, Computer Applications, Principles of Education and Teaching Profession, Curriculum Development, Innovation and Information Technology in Education, Learning Design and Management. For their last year of the program, students are required to partake in internship training where they are required to teach in real school compounds under the close supervision of school administrators and St Theresa lecturers. After completing the program, all students will receive their Bachelor’s degree with official teaching license (to be issued by the Teachers Council of Thailand). Choose 6 credits from the following subjects. Choose 1 credit from the following subject. After completion of the program, you shall be ready to pursue and obtain a license in Science Teaching Profession for basic education. Graduates shall be qualified to teach in all areas of general science to student at schools and educational institutions both locally and abroad. Our Bachelor of Education in Science is accredited by the Teachers Council of Thailand and the Office of the Higher Education Commission.